Logitech has added another keyboard to its arsenal, and this time they’ve integrated an input dial into it as well. The CRAFT Advanced Keyboard is designed for “creators” in the same vein as the Surface Dial, and it provides similar functionality, albeit without the on-display capabilities. Logitech is calling their dial the Crown, and it sits in the top left corner of the keyboard. 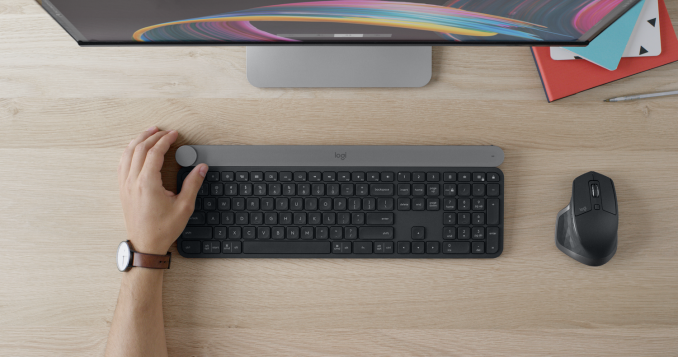 The idea behind it is much like the Surface Dial, in that you would use your left hand to run the Crown, while your right hand is on the mouse. There’s no reason you couldn’t swap those hands around if you prefer mouse duties with your left hand, but the placement of the Crown isn’t going to be as well suited to that without moving the keyboard. Logitech is touting the same functionality as the Surface Dial as well, in particular in creative apps like Adobe Photoshop, where you can control context-specific functions. Ian got a chance to check out the CRAFT keyboard at IFA doing just that. In addition to the Crown, the keyboard itself is typical membrane keyboard, but it does offer “Smart Illumination” which automatically lights up the keys when your hands approach the keyboard, and the lighting adjusts to the ambient lighting. 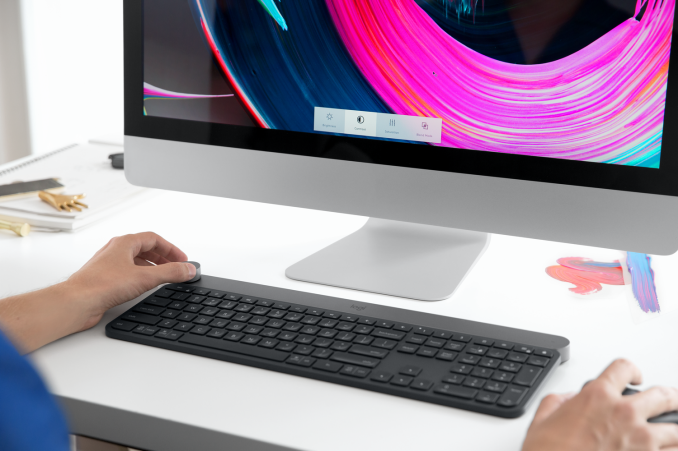 The keyboard can be connected to up to three devices, and has a switch to change which device has focus. 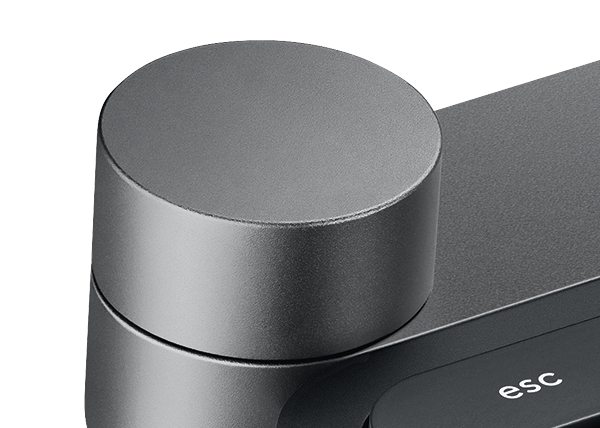 It can be connected either over the Logitech Unifying receiver, of with Bluetooth LE. With macOS and Windows support, the keyboard would be a way to bring the Surface Dial to a Mac. On either OS, the capabilities of the Crown are connected through Logitech’s software suite. On a Mac, that makes sense, but on Windows, it would have been nice to see integration with the Windows Dial APIs so that the Crown could be used with any app that supported that as well, but that’s not the case, and that’s a miss by Logitech. Even if the Dial doesn’t have widespread support, there’s already plenty of apps that do support it, and none of those can be controlled via the Crown. But why? Obviously, it only takes a single dial to unleash creativity.